The Story: An urban teenager journeys to Montana to hunt big game with his estranged father. Father and son struggle to connect, until a brutal encounter in the heart of the wilderness changes everything. 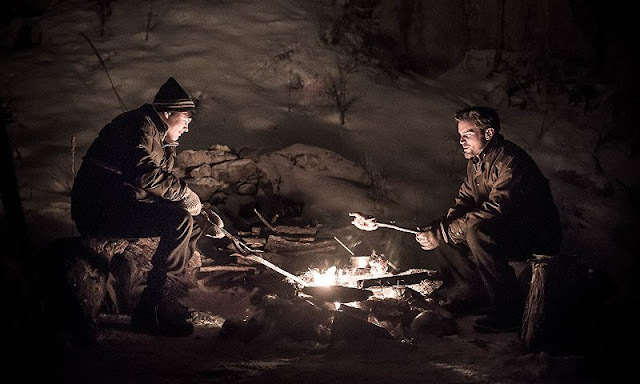 Montana natives Alex and Andrew Smith take full advantage of using their home state as a backdrop for this beautifully filmed father and son drama. The story itself is a pretty straight forward coming of age tale, but where it really shines is how it was filmed. The sweeping vistas and aerial shots of the Montana skylines are breathtaking to behold and the rolling mountain ranges make for a nice contrast to the intimacy of the father and son story being told. Matt Bomer has worked on a lot of different projects, from Magic Mike to the The Magnificent 7, although I feel this is easily his best work to date. Definitely more subtle and defined of a performance than in those other two films, Bomer really takes to the tough, fatherly role and gets the most out of the material given to him. Co starring in the film is Josh Wiggins who looks like a young Matt Damon and has the acting chops to hold serve with Bomer every step of the way. There is a clear progression and growth of his character over the course of the film and you can see he is giving everything he has to the performance. 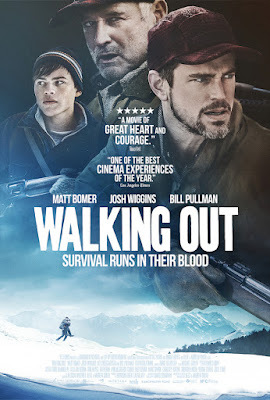 Walking Out is a beautiful motion picture and a very engaging tale of passing the torch down through generations of family. This is yet another impressive effort from Alex and Andrew Smith. Walking Out is an official selection of the 2017 Local Sightings Film Festival.